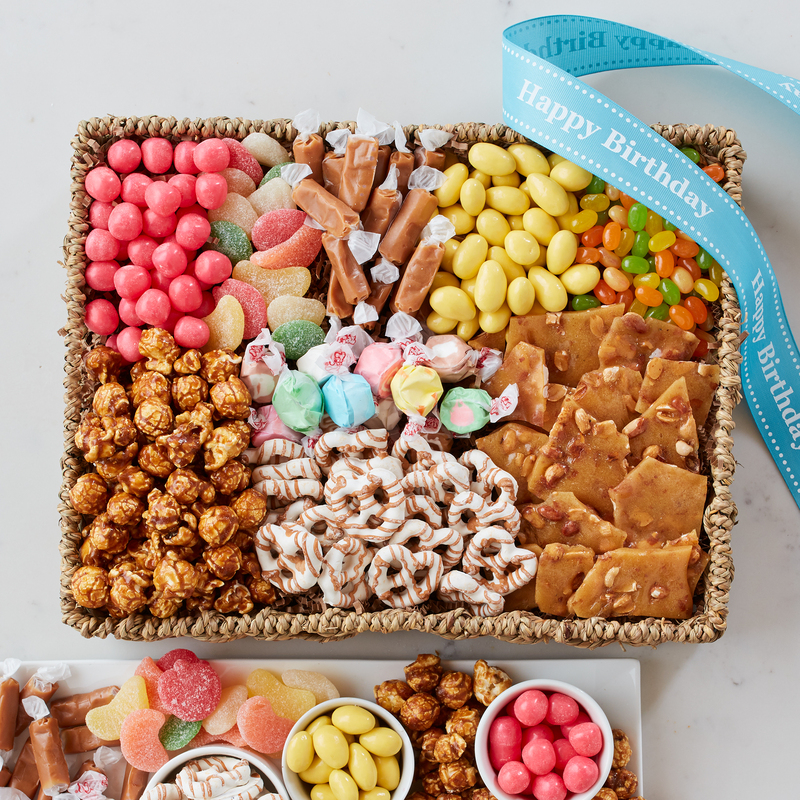 If you want to send a birthday gift to the a big-time snacker on your list, look no further than this Birthday Sweets Basket! The beautiful birthday gift basket is filled to the brim with unique snacks to delight a special someone's sweet tooth: pink grapefruit sours, gummy fruit salad, salt water taffy, lemon creme almonds, Sunkist® citrus jelly beans, sea salt caramels, classic caramel popcorn, peanut brittle, and caramel swirl pretzels. Have this birthday gift basket delivered right to their door so they can enjoy right away. Just unwrap and let the celebration begin!